Sezion is a company that offers automatic video generation using existing content. Content can be anything like text, images, videos, which will be used to automatically make a video quickly unlike traditional ways of making and editing a video which can cost quite a bit of money and time. Finding videographers can be a hassle. Hiring editors to edit massive amounts of video is a pain. Getting the right equipment, lighting, people, and scripts. Not that much fun. Making sure the logo/brand is on every video, making sure the description & tags on each video has good SEO, is all a bit of work. There are many companies that experience this dilemma, big or small. 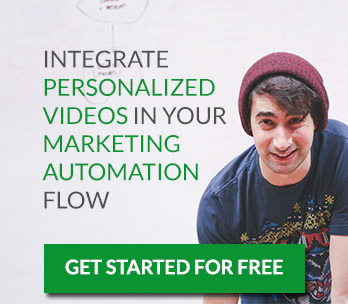 So, how can businesses benefit from using a platform that makes videos automatically? Example: What if a company wanted their fans, customers, or attendees to promote the company’s event almost in real time? Or, wanted a good video content to show those who were unable to make the event. So— these people would upload videos of themselves saying they were at the event, liked the event, described their favorite part, and all of their “testimonials” went to YouTube and Twitter (or many other social media services). All of this done in a matter of seconds. You can almost say this is like the Twitter of Videos. Short videos created and uploaded automatically, all attached with logos and descriptions. No money spent on making videos or editing them, no time wasted. Sezion decided to team up with APIDays in Barcelona by creating a web video app that easily solves the problems mentioned. 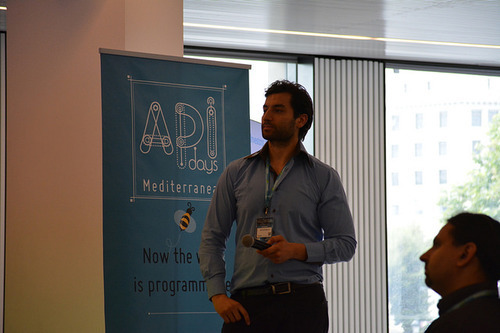 Within 3 years, API Days has now been organised in six different cities. It gathers the essential people from the API ecosystem and thought leaders on the platform economy. This website video application was designed to make video recording easy without any editing. Since this was a URL web browser app (no downloading necessary from app markets) it only took 2-3 days to generate. Once a person records (or chooses an existing video) they can fill out the field for the title of the recording. There is also an optional field for a twitter name, so the video can automatically be tweeted as well. This title will be unique to each video. Once the video goes through, Sezion automatically edits it (Sezion adds an intro, title and outro) and uploads it to APIDays’ YouTube channel and the new video is tweeted by APIDays automatically (thank you, Zapier!). No one’s hands are dirty yet! The video description already comes pre-made for the event, which means that the company can write it out specifically for their SEO. This includes the tags that are associated with the video. That’s it, that’s all the person has to do to get their video up on YouTube and Twitter. And that’s all the company has to do to promote their event. I think mostly everyone’s hands are spotless! The video itself already has the company’s logo and brand on it, that way, every video uploaded doesn’t miss out on branding, and anyone that watches will have that information. These videos will engage the audience by letting them participate without having to do much. 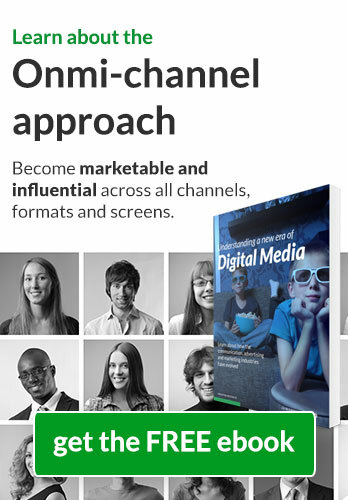 The company will also have their brand promoted through many channels as the users share the video through theirs. Not only does this engage, it is helpful, and it spreads the word easily. All of the titles, descriptions, logos, and links to the YouTube channels can easily be changed to any event or situation. Everything can be edited. Those that recorded themselves are like reporters for the event. (It might not even have to be for an event, it could be a daily thing for, let’s say, a blog). This web browser app is personalized so it can fit any situation. The look and feel of it can also be changed to fit the company’s needs and wants. Are there any ways you can think of using the online video app (video SDKs, video API)? Case Studies, Personalized Videos APIDays, apidaysbarcelona, apidaysmediterranea, automatic video editing, automatic video generation, casestudy, events, onlinevideoapp, personalized video, seo, sezion, video, video api, video sdk, videoapp, videowebsite. permalink. Absolutely great thinking and also a success over the work you were doing.It’s a better opportunities and new destination for ours.I hope you will be more better solution from next obstacles.